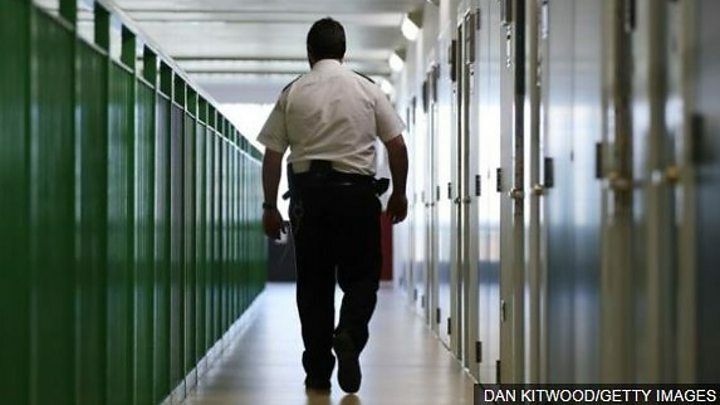 Birmingham Prison is being taken over by the government from the private firm G4S, after inspectors said it had fallen into a “state of crisis”. Chief Inspector of Prisons Peter Clarke described it as the worst prison he had ever been to. Inspectors found blood, vomit and rat droppings on the floor, sleeping staff, cockroaches and an overpowering smell of drugs. Extra staff are being brought in and the jail’s capacity cut by 300. G4S said it welcomed the development as an opportunity to “urgently address” the problems. Mr Clarke wrote to Justice Secretary David Gauke detailing “appalling” failings at the jail. Mr Clarke told BBC Radio 4’s Today “surely somebody must have been asleep at the wheel”. “Squalor, filth, the air hanging heavy with the smell of drugs, a dilapidated physical environment, a sense of great instability of feeling that of any time violence could break out. “This is the only jail, and I’ve visited many jails now, where I personally was forced to leave a wing because of the effect the drugs were having on me,” he said. It is believed to be the first time the government has taken over a privately-run UK prison in such a way, midway through a contract, since the first one opened in 1992. There were 1,147 assaults, including fights, recorded at Birmingham in 2017. This was the highest figure for any prison in England and Wales that year, or on record under modern reporting standards. It represented a fivefold increase since 2012, the first full year that it was run by G4S. More than a third of the assaults in 2017 were against staff. G4S was awarded a 15-year contract in 2011 to operate Birmingham Prison. Mr Clarke said there had been an “abject failure” of contract management and delivery. In his correspondence, he pointed to a “dramatic deterioration” in conditions following a riot in 2016 and described a lack of order, with those perpetrating violence able to act with “near impunity”. Groups of staff had locked themselves in their own offices. He said “ineffective frontline management and leadership” were at the heart of the prison’s problems. Of the 16 privately run jails in the UK, G4S has contracts to operate five of them, including Birmingham. Ministers believe the others the company runs – Altcourse, Oakwood, Parc and Rye Hill – are performing well. But in 2016 the company was forced to transfer the management of Medway Secure Training Centre to the government, after BBC secret filming showed staff allegedly mistreating children held there. Further concerns about the company emerged last year after another undercover investigation into the G4S-run Brook House immigration removal centre, near Gatwick Airport. The justice secretary now has 28 days to develop an action plan for HMP Birmingham. A new governor and 30 extra staff are being brought in and the capacity of the jail will be cut by 300 to 900 prisoners. Under the new regime at Birmingham, Paul Newton, who has spent 30 years in the Prison Service and is currently governor at Swaleside jail in Kent, will take charge. Mr Stewart said while Birmingham faced its own “particular set of challenges”, it must start to “live up to the standards seen elsewhere”. “We have good, privately-run prisons across the country,” he said. The prison will be returned to G4S when sufficient progress has been made. Do you work at Birmingham Prison? Have you been affected by issues raised in this story? Email haveyoursay@bbc.co.uk with your stories.